Kristine serves as cochair of the AALA Distance Education Committee with private practice attorney Ryan Conklin. AALA’s Distance Education Committee plans the content and recruits nationally recognized speakers for six to ten webinars on “hot topics” throughout the year. Most recently Kristine presented the annual agricultural taxation update at the 2017 Symposium in Louisville, Kentucky, and she was one of several speakers participating in an AALA webinar on the recent tax reform law. Kristine is an adjunct assistant professor in the Agricultural Education & Studies Department and the director for the Center for Agricultural Law and Taxation at Iowa State University. Kristine’s work focuses on studying and interpreting laws impacting the agricultural industry. In particular, she focuses on agricultural taxation. Since joining CALT in 2013, Kristine has written hundreds of articles and blogposts to keep tax professionals, practicing attorneys, producers, and agribusiness professionals informed about legal developments impacting their business. She also writes technical chapters for the National Income Tax Workbook and regular articles for farm publications. In addition to her writing, Kristine speaks to many professionals and producers each year regarding tax and agricultural law topics. She also plans and provides instruction for CALT-hosted seminars, including the annual federal income tax schools. Kristine teaches AgEds 451, a four-credit agricultural law class to upper-level undergraduate students in the College of Agriculture and Life Sciences. 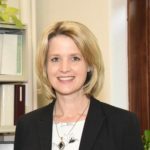 She also regularly collaborates with other agricultural law and tax professionals throughout the country, including those from the Rural Tax Education Committee, the American Agricultural Law Association, and the Land Grant University Tax Education Foundation. Kristine is licensed to practice law in Iowa and Missouri and is a member of the Iowa Bar Association. Before coming to ISU, Kristine worked for a legal publishing company and as a practicing attorney. She received her J.D., Order of the Coif, from the University of Texas at Austin and her B.A. in journalism from Iowa State. She grew up on a farm in west central Iowa.